Today is a special day. It is a day dedicated to language, more precisely to linguistic and cultural diversity and multilingualism. On 17 November 1999, it was announced by UNESCO that every year the 21st of February would be observed as the International Mother Language Day. But why specifically the 21st of February was chosen to represent linguistic diversity? We have to travel a bit back in history to know the reason. In the year of 1952, some unprecedented events took place in Dhaka, capital city of Bangladesh, then known as East Pakistan. 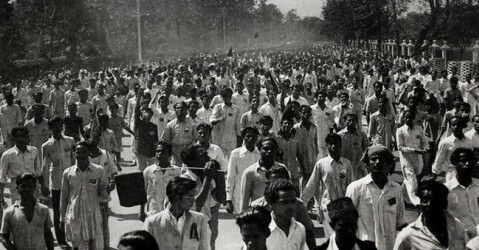 Masses of people led by students formed the language movement advocating the recognition of the Bengali language as a state language of Pakistan since Bengali was the mother language of the people of East Pakistan (now Bangladesh). After the partition of British India in 1947, the state of Pakistan was created with two geographically non-contiguous provinces known as West Pakistan and East Bengal (it was renamed as East Pakistan in 1956). The government of this new-born state was dominated by the politicians from the west part and soon it was apparent that the end of British colonial period only started a neo-colonial era for East Bengal. Political and economic oppression followed linguistic imperialism when in 1948 the Government of Pakistan ordained Urdu as the sole national language. The decision sparked immediate protest from the students of the East Pakistan. Mass discontent and political activities continued for several years and it reached climax on the 21st of February 1952 when police killed several demonstrators who defied the law banning public meetings. The deaths caused widespread unrest and eventually the Government granted official status to Bengali language in 1956. The Bengali Language Movement (known as Basha Andolon) cemented the assertion of Bengali nationalism and turned out to be the historical turning point for the nation’s struggle towards independence. The East Pakistan province finally established its identity as Bangladesh, an independent state, as the outcome of a nine month long bloody war in 1971. On the morning of 21st February every year, the people of Bangladesh go the Shaheed Minar (Martyrs’ Monument)- iconic monument that commemorates the protestors who sacrificed their lives) on bare feet and give flowers to show respect to the language martyrs. The Bengali Language Movement is one of only two occurrences in the history where people sacrificed their lives for their mother language. Interestingly, the other incident took place in the Indian state of Assam on May 19, 1961. 11 protestors were killed by police demanding the state recognition of their mother language. And guess which language it was? Surprisingly, it was also Bengali, the 7th largest language in the world in terms of number of native speakers. After 62 years, the Bengali language movement is still very much relevant in the context of present world where linguistic imperialism can be found in many different shapes and forms. The United Nations General Assembly mentioned the objective of observing International Mother Language Day in its resolutions as “"to promote the preservation and protection of all languages used by peoples of the world". This statement asserts the existence of threat against many languages. One language dies every 14 days. By the end of this century, language researchers predict that half of nearly 7000 languages spoken in the world will disappear. Language, a fundamental element for civilization, is a unique human asset that helped us to come this far. With the extinction of each language, we lose a part of this asset. Can we afford the disappearance of half of our mother languages? Isn’t it the time to do something to ensure a language-rich future for our next generations? 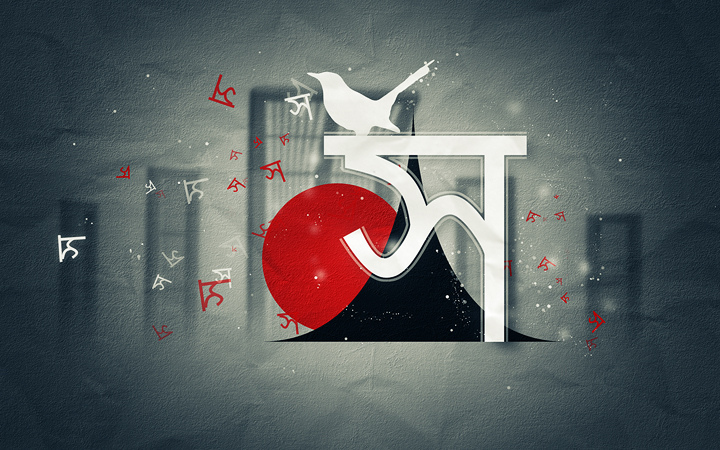 Vocabridge is committed to the preservation of linguistic diversity and opposes all forms of linguistic imperialism. Vocabridge is continuously extending the number of languages it works with and enables individuals, businesses, governments and non-governmental organizations in communicating to their audiences in the language and cultural context of the audience. If you want to be part of this silent movement for preserving human languages, make sure you communicate to them in their language. To access Vocabridge‘s professional translation services, contact one of our advisor’s today. www.vocabridge.com – we translate for the world.